Today I am sharing with you how I twisted the humble kachumber (salad that is served with Biryani) with some China Grass. I made some mint jello with China Grass and; Mint, Chili and Coriander Chutney. 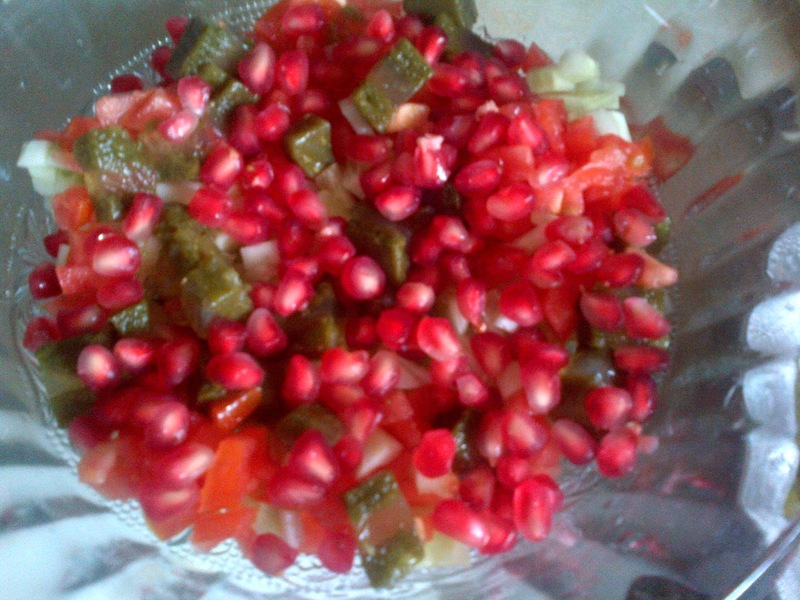 Cut the jello in small cubes and added it to the salad with some pomegranate seeds. I do not have the image with the beaten curd dressing. 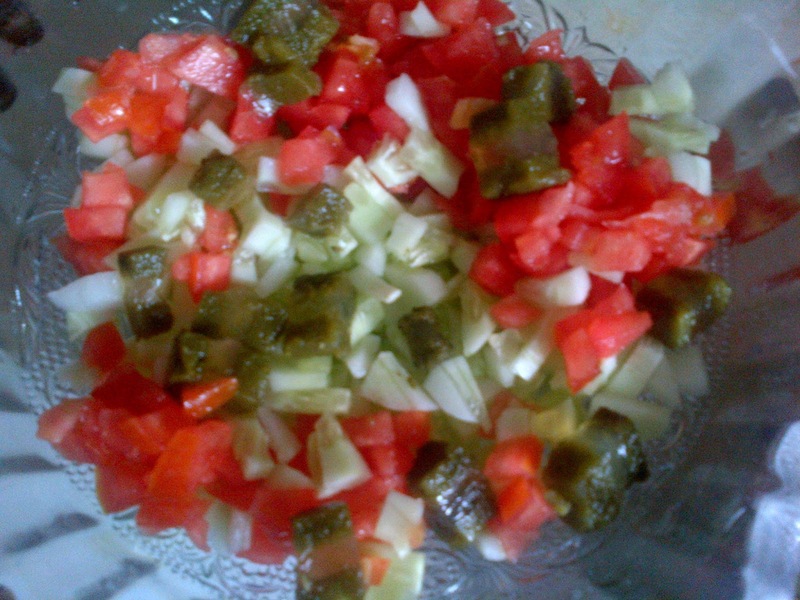 But here are images of the other ingredients that go into my Kachumber, onions, cucumber, tomato, pomegranate and the mint jello. 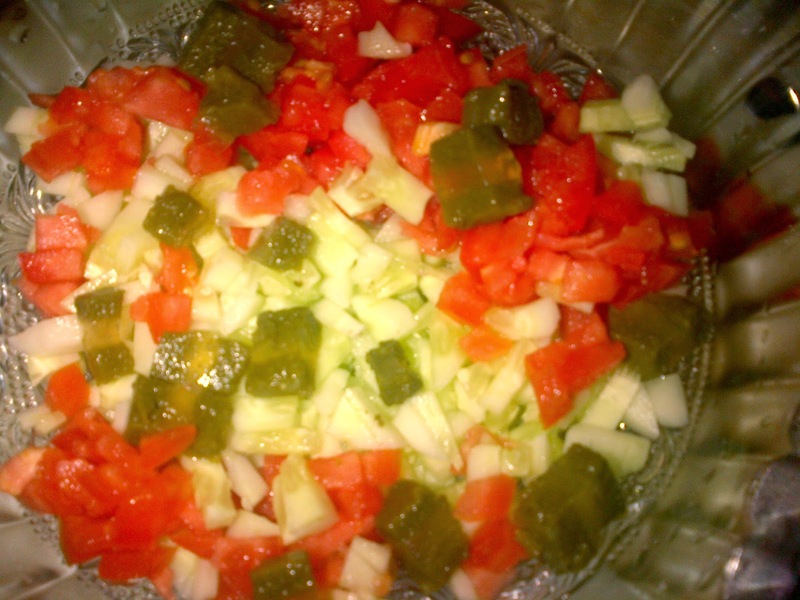 I left out the chopped coriander and green chilies as it is already included in the mint jello.